Danny Hoffman’s story reminds sports fans of the fragile nature of a professional athlete’s career. An up-and-coming baseball star discovered playing on the lots of Collinsville, Connecticut, Hoffman played in the majors under legendary manager Connie Mack before joining the New York Yankees (before they were even known as the “Yankees”); but one pitch dramatically changed his career trajectory. 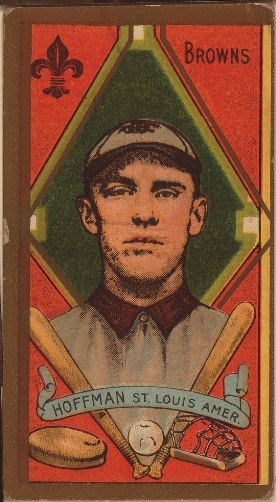 Hoffman was a native of Canton, Connecticut, attended local schools, and frequently played ball in the Collinsville section of town. There, a scout from the Connecticut League’s Springfield, Massachusetts, franchise discovered Hoffman and offered him a contract. Once in Springfield, it did not take long for major league teams to take an interest in him and Hoffman eventually signed with the Philadelphia Athletics to play for Hall-of-Fame manager Connie Mack in 1903. As the Athletics headed up to Boston to play the Red Sox in the summer of 1904, baseball experts considered Hoffman one of the more promising young players in the majors. When Hoffman (hitting a career-high .299 with three home runs) stepped to the plate against Red Sox left-hander Jesse Tannehill, however, an errant pitch struck Hoffman in the right eye, ending his season. Back with the A’s in 1905, Hoffman’s statistics dropped off precipitously. He utilized his great speed to steal 46 bases that year, but he struggled against left-handed pitching—causing Mack to regularly pull Hoffman out of the lineup against lefties. 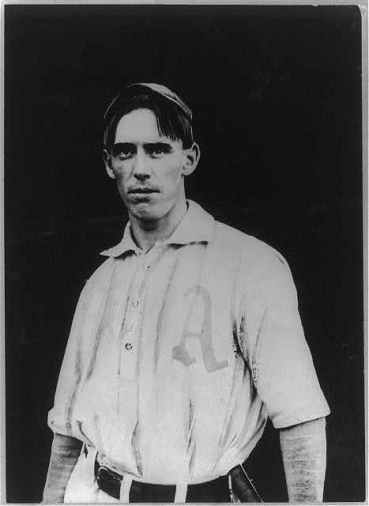 Hoffman lasted one more year with the A’s before joining the New York Highlanders (who later changed their name to the New York Yankees). He spent two relatively unproductive years in New York before joining the St. Louis Browns in 1908 and then ending his major league career 3 years later. Hoffman tried to make it back to the majors by playing for St. Paul of the American Association and then Wilkes-Barre of the New York State League, but his comeback ultimately proved unsuccessful. Life after baseball saw Hoffman become a resident of Bridgeport. Having invested his baseball earnings wisely, Hoffman resided in a beautiful home on Stratford Avenue in the city’s east end. He became a very popular figure in Bridgeport and at one point local residents and civic leaders encouraged him to purchase the city’s struggling Eastern-League baseball team, but Hoffman slowly began retreating from public life. In 1921, he left Bridgeport to move in with his parents in Manchester. Local residents reported rarely seeing Hoffman in public after that. Seven months after the move, in March of 1922, the Hartford Courant reported that Hoffman had passed away at his parents’ home due to “a general breaking down in health.” He was just 42 years old. “The New York Yankees Visit the Fair.” Harwinton’s History, 2014. Link.